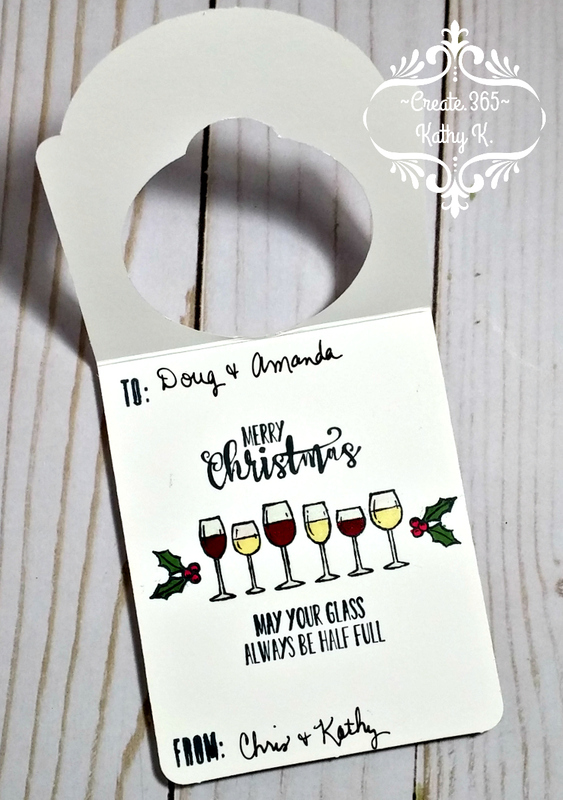 Even though the Christmas holiday is over, I still have a few more projects to share with you through the new year...this one is a simple wine bottle tag that I made for friend's of our's using a new stamp set from Stampin' Up! 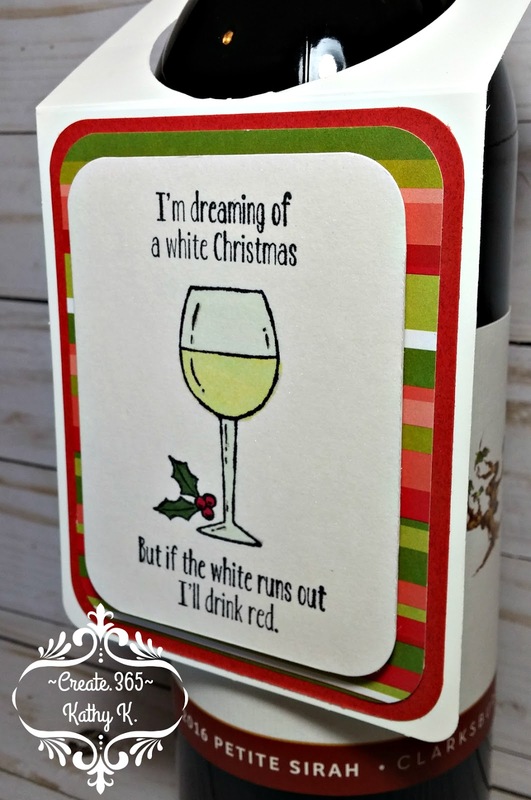 I just love the quirky sayings in this set! 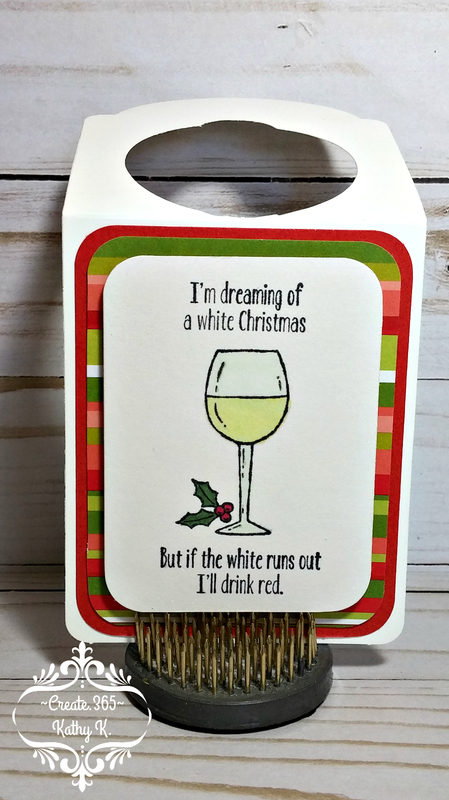 And since wine is one of my favorite things I just had to own it, lol! I stamped the images using Memento Black ink and colored them with Spectrum Noir alcohol markers.